the latest xCBL 3.5 might be helpful for this discussion. explicitly represented as a child element. document instance, Currency is included without a container element. played by Currency within this one element. 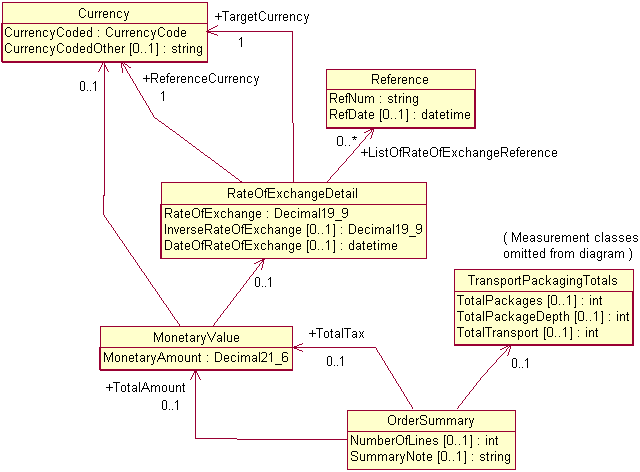 generating schemas from UML models that are created independent of XSD syntax. names and get/set methods for containing and accessing the associated objects. understand the other interpretations of "role" in schema design. discussions and have no need to vote.